xP I don't really know what to say. I got the idea at school. o.o While I was day dreaming abou a very smexy fox demon. And I was like hey! Ill do my favorite bishies. :D Reviews are well liked. Sadly I own nothing. 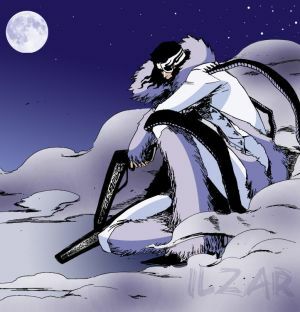 But if one day you do see Coyote Stark, Madara Uchiha, Kisuke Urahara on stripping poles... Then I WILL OWNAGE. And I will make all of our smuttiest dreams come true~! Summary: Inspired by How I Met Your Mother, Lilys List. Beware.. I'm almost ashamed. Almost. Summary: Elevators... The terror... The horrible toys for those who make fun of people with the fear of claustrophobia. Yu Gi Oh and Death Note Setting/Place Challange!! by Shinku Amakusa. Summary: Yusuke's Summary: With his sister dead, Yusuke grew up fast becoming a hardass, letting no one push him around. He could'nt protect her then, so he won't fail ever again. Never talking about his sister, Yusuke act's like an only child letting no one ever know what he hides from that night. Myou Summary: Ever since Yusuke's and Myou's father died, their mother has turned into a drunk. Forced to take care of theirselves, Myou lose's her life protecting her younger brother on a simple walk home. Summary: The door burst open, sunlight shining through the portal, a rather tall shadowy figure blocking out most of it. Kisames eyes widened. Your eyes blinked in surprise before a laugh erupted from your throat as the new comer yelled. You chuckled, a small pink tint taking over your cheeks as you shyly pulled your lover in another kiss, "No, he's my man. Summary: So I'm sure most of you have played Fallout New Vegas and Fallout 3 huh? And realized the games full of bugs. Well here's a different take on those bugs. Summary: Wo knew Kakuzu would go that far? Summary: Walter Kovac's has day time. An Rorschach has night time, right? So how does their woman fit into all of this? Especially in their love time. Summary: I never understood. Why do we continuously make things easier on ourself, when everything you should be fighting for, means you should work harder? Why does love, always have to be one of the hardest?